Hey Gen-Y, guess what? 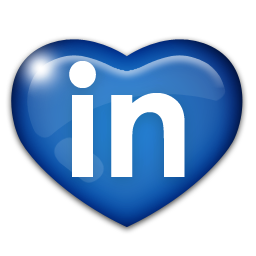 LinkedIn is not the new MySpace. You don’t increase your value to potential employers by randomly connecting with thousands of other smartphone wielding tard monkeys who have no relevance to your chosen profession. Seriously, that just makes you look awkward and desperate like a nose picker at the prom. In a global, still-struggling economy I can appreciate the occasional reach out from an opportunistic college grad hoping to break into the business world. I was there once. Still, if I don’t know you at least have the courtesy to craft a haiku sized introduction before mindlessly clicking the connect button and blasting forth the system’s stock language. Yesterday I received a connection request from a Bangalore-based high school senior. He’s a budding IT major (big surprise), but obviously not up on the latest target marketing strategies. Granted, having recently upgraded to the Commodore 64, it’s easy to peg me as a web wizard. But seriously, what good can I do this dot matrix minded help desk warrior from the opposite end of the planet? If you want to make real connections you have to connect and that means occasionally stepping away from the keyboard.